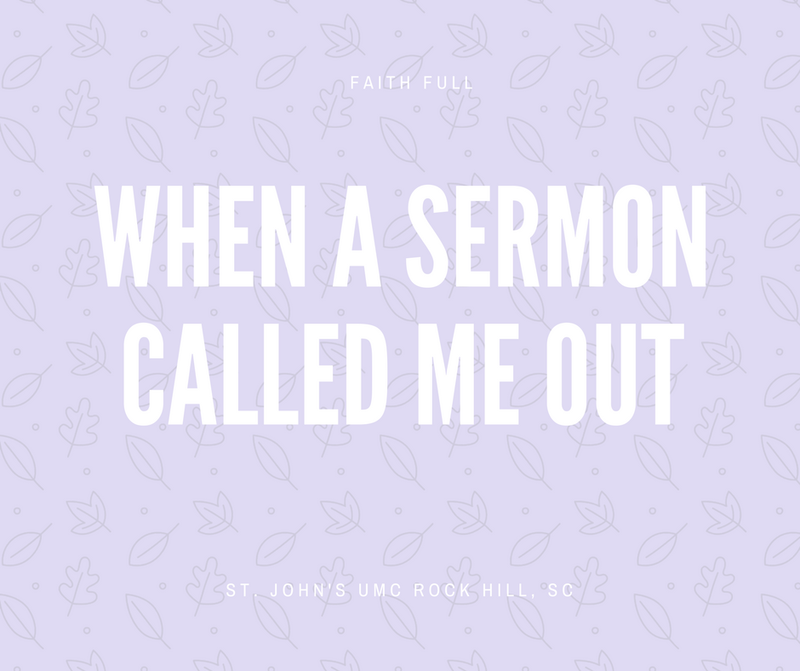 You know those sermons that make you feel like you are being “called out,” and yet you feel encouraged because the words were exactly what you needed to hear? Yep, last Sunday was one of those sermons for me. Pastor Rett’s sermon was about finding your spiritual gifts. He reminded us that we SHOULD SERVE in the church, BUT we should find something that not only fits our spiritual gifts but also is a passion of ours. We shouldn’t serve begrudgingly or reluctantly. 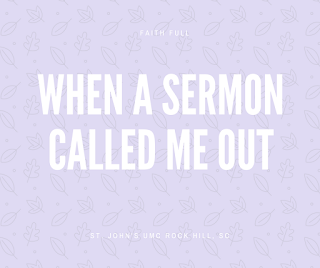 Well to put it as Pastor Rett put it, “We sometimes sound like Eeyore when we speak about “having to serve.” Like Eeyore, we groan, (insert pitiful voice here), “Woah is me, I have to keep the nursery” or “I have to usher today.” Ummm, I’m pretty sure I have sounded like this time and again, aaaand I am pretty sure I have even said something like this to Pastor Rett! Ouch, Pastor Rett, why you gotta’ bring it so close to home?! Fortunately he doesn’t just stop there; he gives us some solutions for our Eeyore service attitude. He goes on to say that if we are feeling burdened from serving, then, maybe we are serving in the wrong areas. Our church has a Spiritual Gifts survey online, which can help us START thinking about where we may excel at serving. This survey helps us determine the spiritual gifts that God gave us. God gave us these gifts for a reason. He WANTS us to use them! Matching your service to your spiritual gifts is a huge step in determining your best places to serve, but I want to add a little book club wisdom from Beverly Marks here. One book club evening, Beverly Marks said that she thinks God not only gives us Spiritual gifts, but also gives us a passion for where God wants us to serve. If we don’t have passion, we are probably not going to do a superior job. Passion doesn’t mean we won’t have to step out of our comfort zone. We may have a passion for something and STILL not want to do it because we feel too busy or too scared. After all, the Bible shows us many examples of people not wanting to answer God’s call at first. BUT in those stores, the people in the Bible still had a passion as well as a gift for what they were being called to do. Take Moses for example. He didn’t want to step out of his comfort zone and into danger by leading the Israelites out of slavery. But you could see he had a passion for helping the Israelites fight this injustice. My goodness, he even attacked a man for beating an Israelite. Luckily Moses started following God’s lead instead of JUST his passion after that. Figuring out your passion takes time, and I think may even change, as God needs us in different areas. God calls us to serve, but sometimes it takes us a little time to figure out where we should serve. Not knowing yet where we fit best doesn’t give us an excuse not to serve. Sometimes we have to take an educated guess as to where we should serve and just serve. While serving, we learn our strengths and weaknesses, our likes and dislikes, and where our passions lie. We can still make a difference while we are trying to figure it all out. Serve! God may surprise you. God may lead you to something that you didn’t even know was going to be your passion. This happened to me recently in regards to the FAN program. Things just kept lining up in a certain way that made me feel I was suppose to combine my faith with nutrition education background. Here is the kicker. I felt like God was leading me to do this, but I didn’t know it was going to be my passion! While serving I have found several passions like hosting for Family Promise, writing for the church blog, participating in a Christian book club, and now the FAN program. I get excited when I think about it! FAN even inspired me to start my own faith based nutrition blog called Mindfulness in Faith and Food. So this brings me to the “Call to Action” part of the post. We are starting a “What is your Passion?” blog series. Where have you felt called to serve?” “What lead you to serve in this way?” What experiences have you had while serving?” Please send me your stories. If you would like to check out the whole sermon, you can find it here.